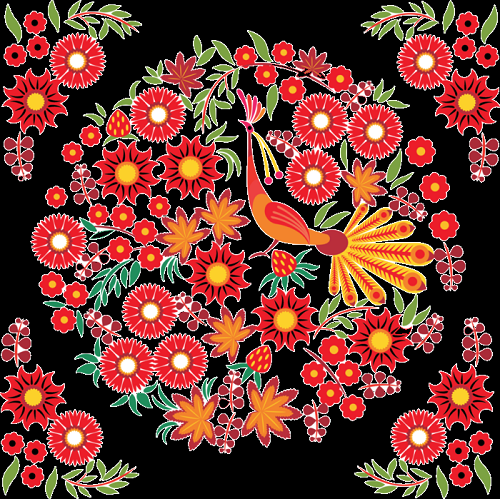 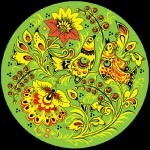 A unique phenomenon in world culture, Khokhloma painting is a traditional Russian art, found nowhere in the world. 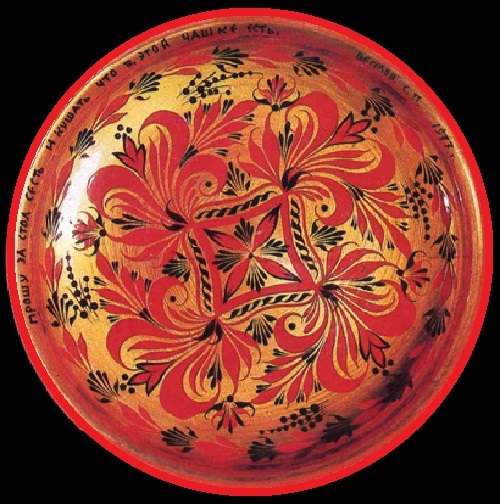 Originated from the Volga, Khokhloma painting received its name after one of the villages in the Nizhny Novgorod region – Khokhloma. 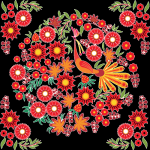 Meanwhile, in the second half of the XVII century, after church reforms Old Believers seeked refuge in these places. 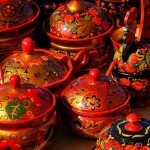 And among them were painters, thanks to whom appeared Khokhloma painting. 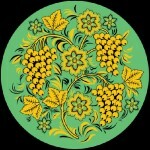 Then the painting of icons used the technology of painting background in golden color. 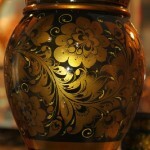 Meanwhile, craftsmen used gold and silver powder, that was cheaper. 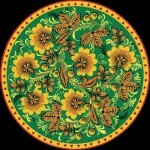 After painting, the master coated the icon with linseed oil and baked in the oven. 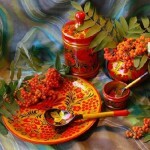 As a result, the background achieved golden color. 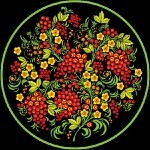 That’s the alchemy! 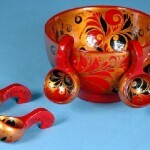 And the similar technologies masters used in Khokhloma painting. 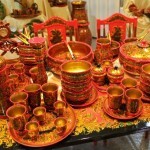 However, instead took the silver tin powder, and the result was the same – the products became sun-gold. 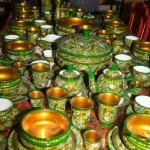 Undoubtedly, such dishes were worthy of the king’s table, also affordable to simple people. 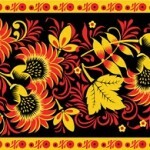 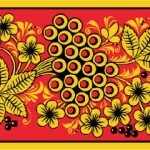 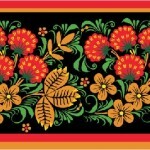 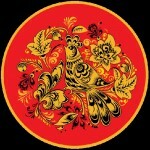 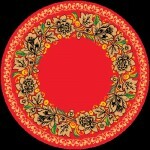 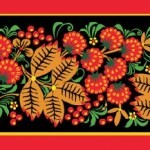 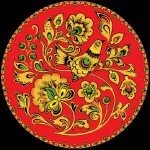 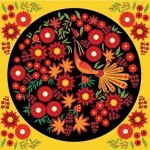 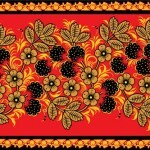 The main colors used in Khokhloma painting – gold, black and red. 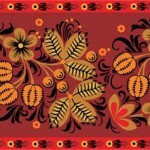 Sometimes these colors complemented green, brown, orange, and yellow colors. 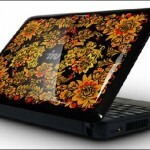 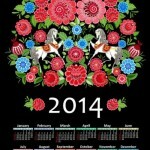 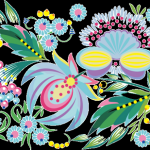 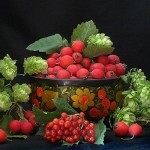 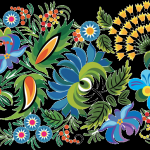 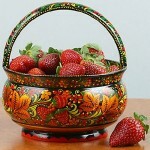 Motifs used in painting are mainly natural: grass, flowers and berries. 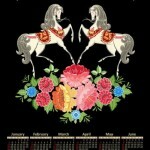 A horse painting presents in several varieties, surrounded by “herbal painting”. 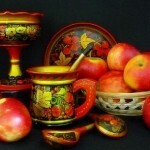 The painted background performed as follows: Master draws black or red contours of the composition, and then paints the background and draws details. 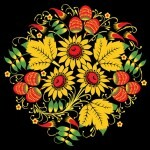 Of course, this is a very time-consuming work. 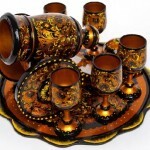 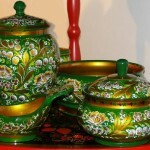 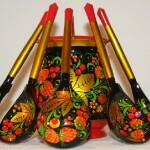 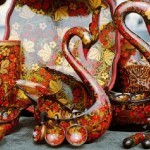 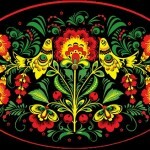 There is also a green Khokhloma, made by the company “Khokhloma Painting” of Semenov, Nizhny Novgorod region. 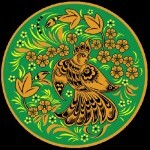 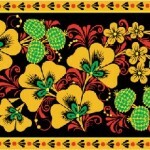 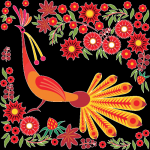 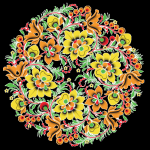 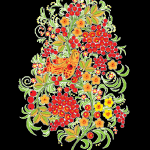 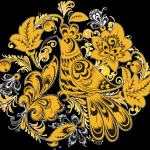 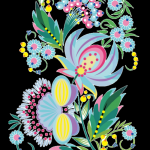 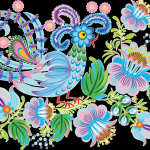 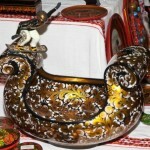 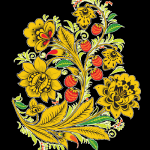 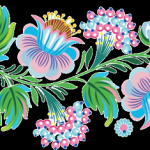 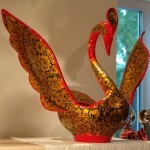 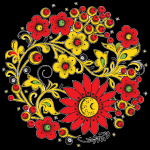 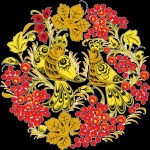 In Khokhloma painting there are several types of ornaments. 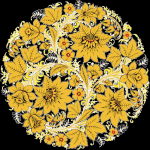 In particular, composition in a circle, composition in a “branch”, composition in a “spiral Wreath”, squared composition, and tree composition. 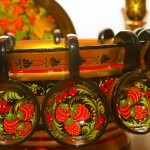 And in the gallery – examples of Khokhloma ornament.